Looking in dreadful external condition, bereft of nameplates, 5900 series 5992 Horton Hall, of 2A Tyseley, powers a down fitted freight through Earlswood Lakes station in the direction of Stratford‑upon‑Avon and beyond on the evening of 15th May 1965. 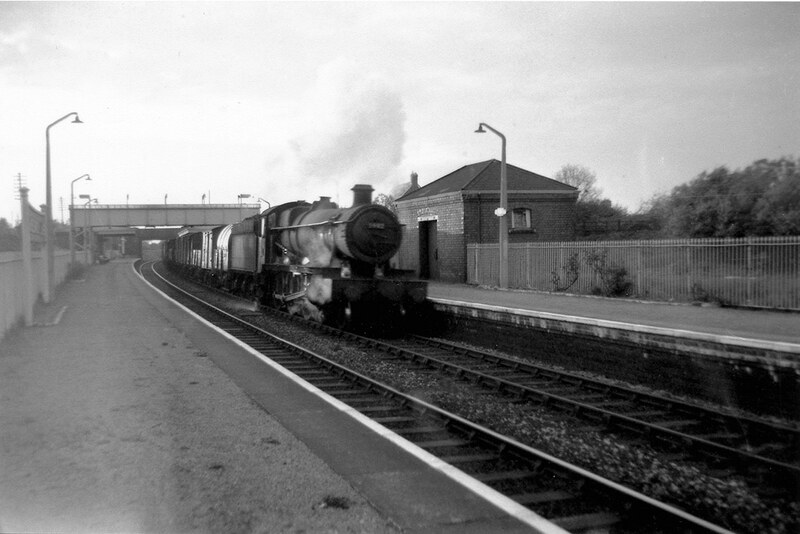 For many years an inmate of 83B Taunton, 5992 parted company in October 1964 having brief spells at 83C Westbury, 85B Gloucester (Horton Road) and Tyseley prior to condemnation and subsequent oblivion in August 1965. 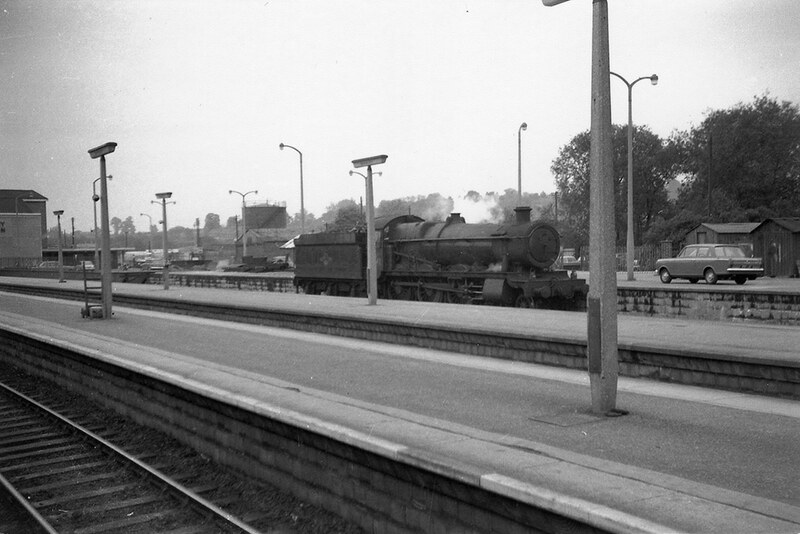 Although minus nameplates and front numberplate, 6900 series 6952 Kimberley Hall (2D Banbury) is in presentable condition in use as the standby locomotive at the north end of Banbury station on 29th May 1965. Transferred to 2A Tyseley in October of this same year, Kimberley Hall was destined to become one of the last active members of the class to be taken out of service and, following withdrawal, had a brief period of storage at 2A prior to being cut up. Author’s Note: Discrepancies between the monthly withdrawal dates as published in the 1981 edition of WHTS Volume 6 and the updated versions online are negligible. Note: Thanks to the unearthing of a plethora of fresh information contained within the pages of railway publications and sightings from correspondents since my WHTS website came on stream a few years ago, the knowledge gleaned from both sources has placed me in a situation whereby I can provide the reader with much improved data with reference to storage locations/dates than I was initially able to provide in my 1980’e series of WHTS booklets. I hope this streamlining will add to the enjoyment of the existing chronological sequence of events appertaining to WHAT HAPPENED TO STEAM – Volume Six. Peter Hands – June 2017. 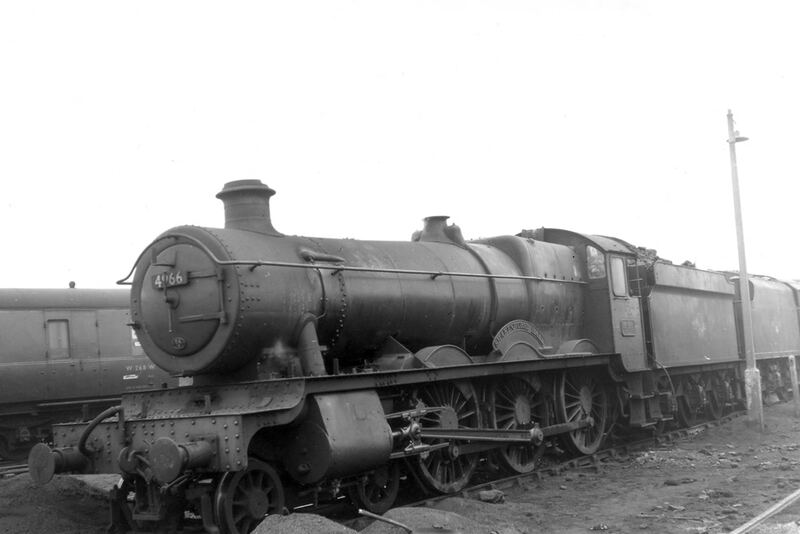 To add to the interest of enthusiasts of former GWR steam locomotives, last recorded Heavy General Overhauls and total mileages (as at 28.12.63 or upon withdrawal) – where records are available – has been incorporated in WHTS Volume Six.